For full-sized map, incl. 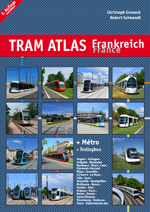 all tram lines and future Grand Paris Express metro routes, click here! 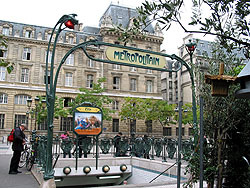 Paris, the capital of France (9 million inhabitants in Greater Paris), is one of Europe's metro flagships. After London (1863), Glasgow and Budapest (both 1896) this is the continent's fourth oldest metro system and probably the densest. 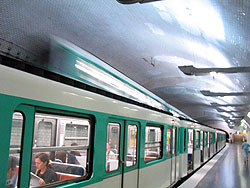 16.5 km - 25 stations; almost entirely underground except for Bastille station and the Seine bridge between Pont de Neuilly and Esplanade de la Défense. 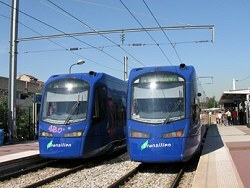 After platform screen doors and a new operating system (Siemens Trainguard MT CBTC) have been installed, the first driverless trains started running on Line 1 on 3 Nov 2011. By early 2013, once all trains on this line had been replaced with new MP05 stock, full driverless operation with headways of only 85 seconds was introduced. Les Halles station reconstructed and reopened on 03/10/1977 with new RER station. 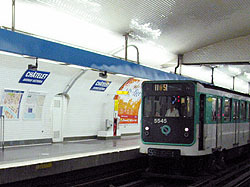 After the first section of the southern extension from Porte d'Orléans to Mairie de Montrouge was brought into service in March 2013, line 4 is being extended further south (2014-2019), with two stations, Barbara and Bagneux-Lucie Aubrac (1.9 km). 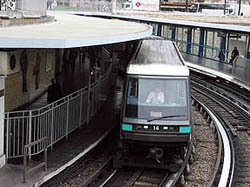 At Étoile - Charles de Gaulle trains reverse in a loop, there is also such a loop at Nation which is only used during rush hours. Pierre Curie station renamed Pierre et Marie Curie on 8 Mar 2007. At Commerce platforms are not opposite each other, but staggered. 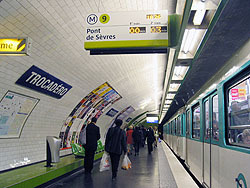 Line 12 is being extended further north from Aubervilliers Front Populaire to Mairie d'Aubervilliers via Aimé Césaire (2 km, 2017). 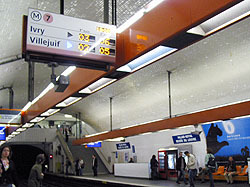 At Liège platforms are not opposite each other, and at La Fourche the trains coming from St.Denis stop on the lower level. 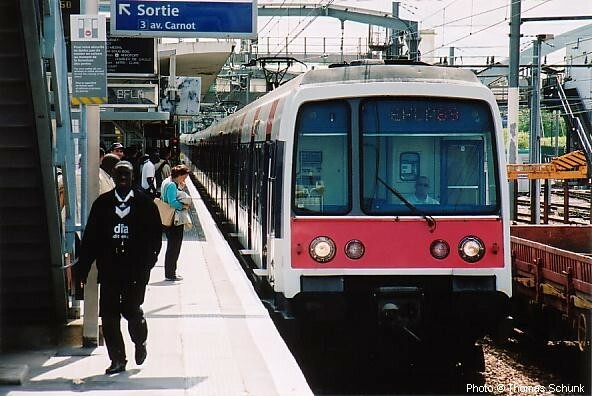 Line 13 was planned to be further extended from Asnières-Gennevilliers Les Courtilles to Port de Gennevilliers. 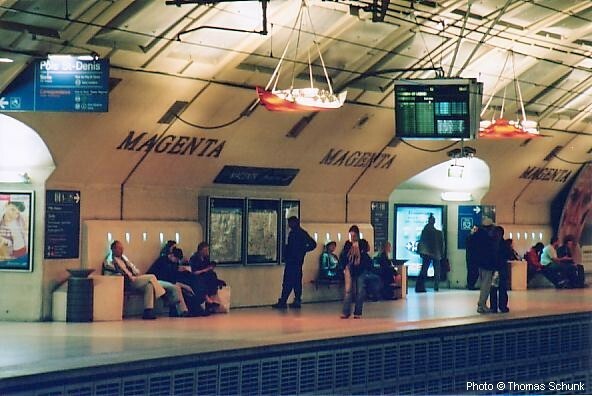 Finally in the 1990's Paris started to build a new metro line, the so-called METEOR (Métro Est Ouest Rapide) although from the day of inauguration (15/Oct/1998) it is called ligne 14. 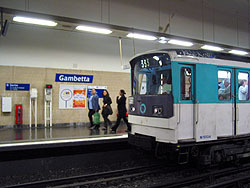 This line is meant to alleviate ligne 1 and RER ligne A in the central area and starts at Maison Blanche in the south, then runs parallel to ligne 1 and A between Gare de Lyon and Châtelet-les Halles and finally turns north to St. Lazare from where it will be connected to the western branch (Gabriel Péri) of ligne 13. After some years of delay the first stretch from Bibliothèque F. Mitterrand (planned as Tolbiac-Masséna) to Madeleine was finally opened in October 1998. 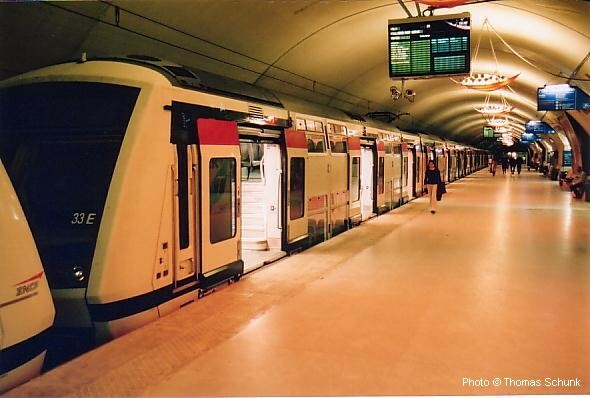 In summer 1998 construction work for the second section to St. Lazare started, which was finished in Dec. 2003. 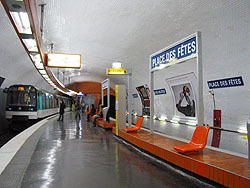 In autumn 2000, construction of a small workshop began, which was necessary to rebuild the original workshop into Olympiades station that was finally completed in June 2007. 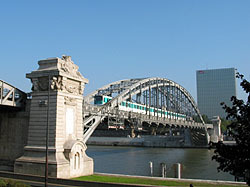 Line 15 - a sort of orbital line with a handle in the east, with the southern section between Pont de Sèvres (M9) to Noisy Champs to be built first. Later, a western extension will continue to La Défense an the new hub at Saint-Denis Pleyel near the current RER station on line D. The eastern leg of this line will parallel the existing RER E route between Rosny-Bois-Perrier and Nogent Le Perreux and terminate at Champigny (Pont de Sèvres - Champigny > 2024). 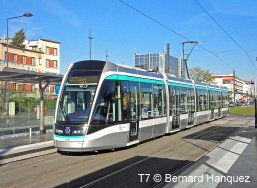 Line 17 - will also start at Saint-Denis Pleyel and share tracks with line 16 up to Le Bourget before heading northeast towards Charles-de-Gaulle Airport and eventually to Le Mesnil Amelot. 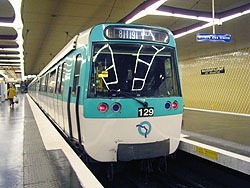 Line 18 - less defined, it would serve the southwestern outskirts between Versailles and Orly. Details and progress of all these projects can be found on the STIF website and also at Societé du Grand Paris! 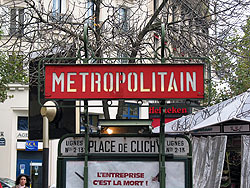 After World War II actually only metro extensions outside the city limits were built (apart from St.Lazare - Invalides). 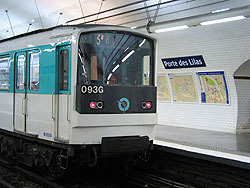 In the 70's and 80's special emphasis was put on the RER System (Regional Express Network) which currently consists of five lines (A, B, C, D, E) crossing the city underground (line C only partly) and connecting formerly existing suburban rail lines. 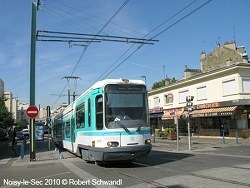 This network is operated jointly by RATP (Métro and buses) and SNCF (French National Railways). 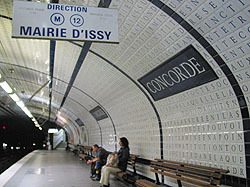 The last of these lines, which was formerly referred to as EOLE, now ligne E, opened in July 1999 between St. Lazare and Magenta. 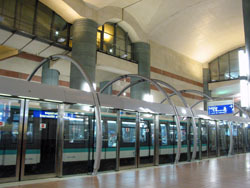 On 3 Dec 2000, a new station was opened on Line C at Bibliothèque François Mitterrand to provide transfer to Line 14. This new station replaces the former Masséna station. 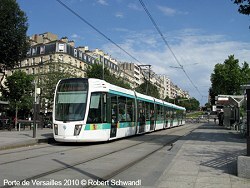 Besides its dense metro system and extensive RER network, Paris now has several tram lines which, however, do not form a proper network, but each line operates separately and has its own characteristics, though all share the standard gauge of 1435 mm. Click here for more details. Mark Ovenden: Paris Metro Style: In Map and Station Design - Nov. 2008, Capital Transport, London, ISBN 978-1854143228 - Great books with hundreds of original maps and loads of photos. 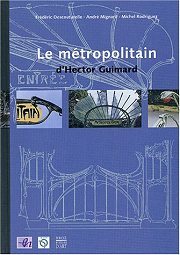 Gérard Rolland: Stations de métro Le dictionnaire des 366 stations. - Christine Bonneton Éditeur, Paris, 2003 (new edition). - Explains origin of station names. This small book (pocket sized, printed on glossy paper) is a story of the Metro at the beginning of the 20th century through old postcards (building, trains, stations, ...) with comments by the author. 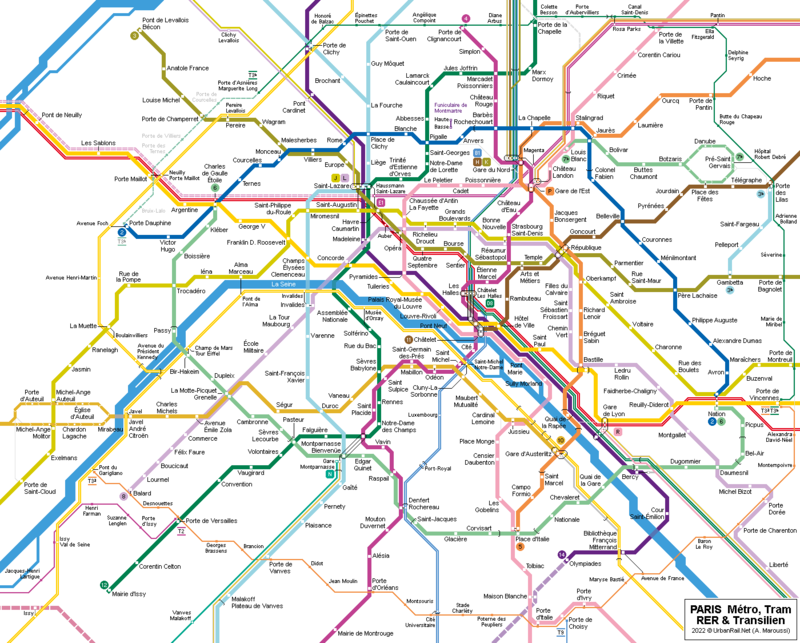 Hardy, Brian: PARIS METRO HANDBOOK. - Capital Transport, new 1999 edition. Various: Le kiosque des noctambules, une oeuvre de Jean Michel Othoniel. - Flohic, Dec. 2000, ISBN 2842341082, 80 pages - It' s the story of the new metro entrance called "Le Kiosque des Noctambules" at station Palais-Royal. Berton, Claude and Alexandre Ossadzow: FULGENCE BIENVENÜE et la construction du Métropolitain de Paris. - Presses de l'école nationale des Ponts et chaussées, Paris, 1998. Bruno Latour: ARAMIS ou l'amour des techniques. - La Decouverte (Textes a l App); ISBN 2707121207. Explains a former MATRA project of a small automatic metro tested in Paris in the 1980's. 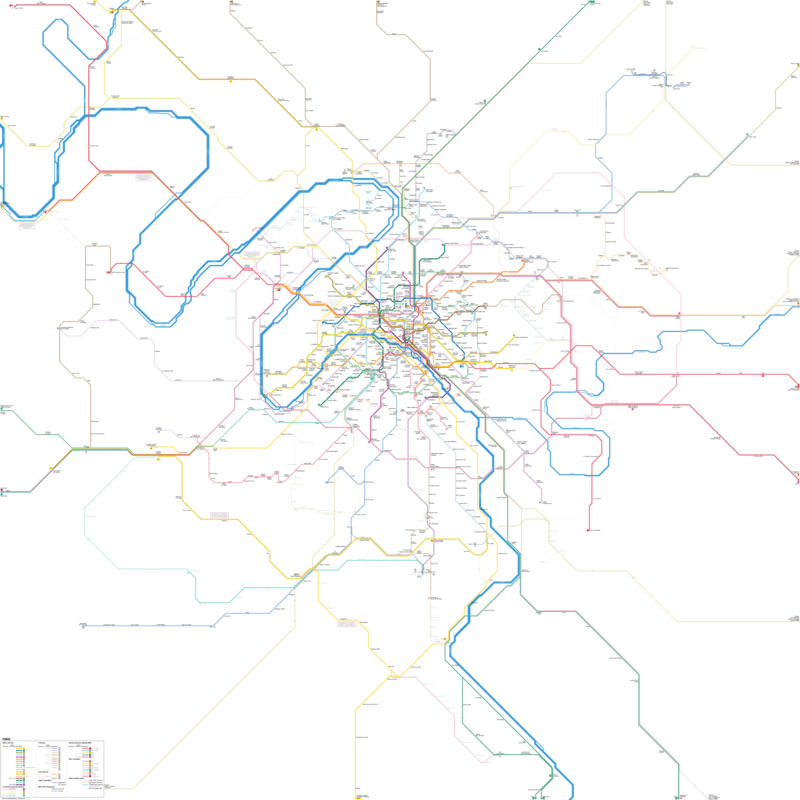 See the complete UrbanRail.Net Paris Métro & Tram Map!